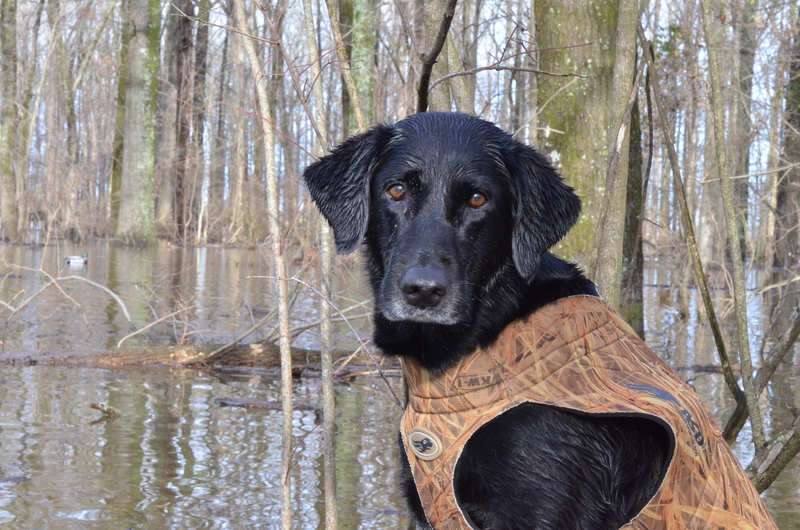 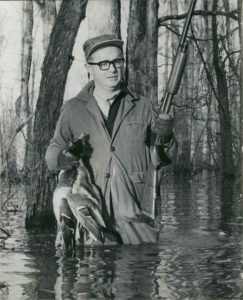 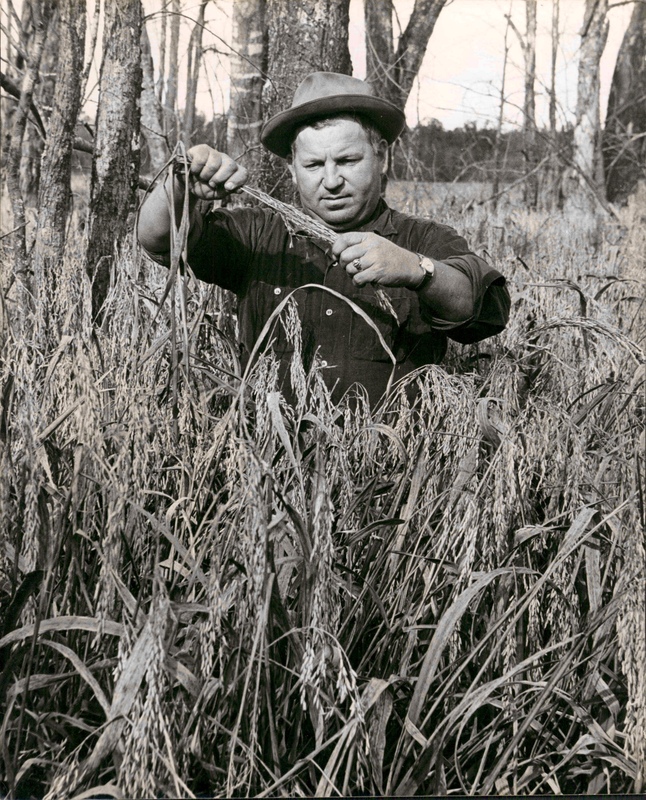 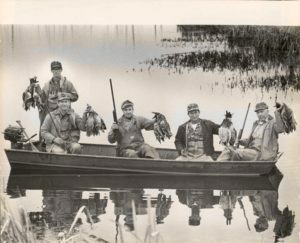 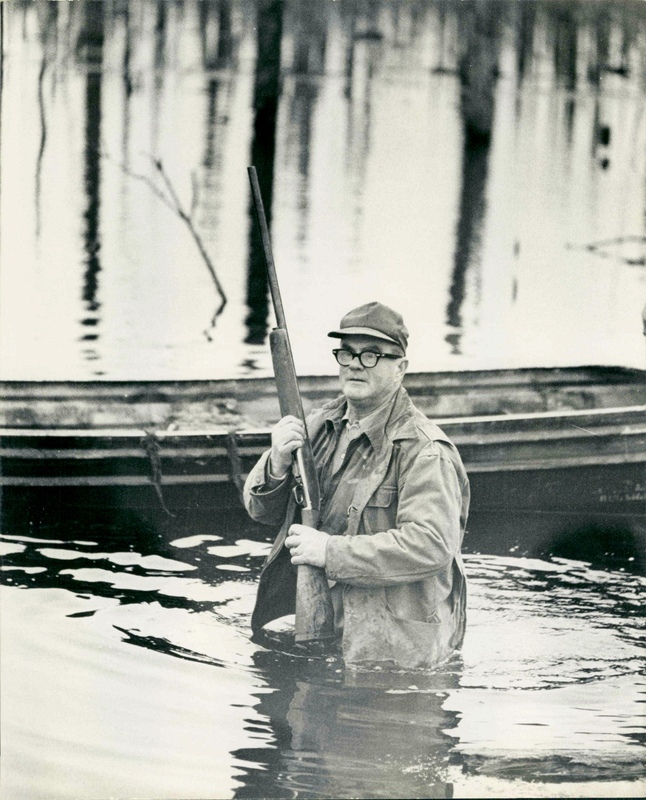 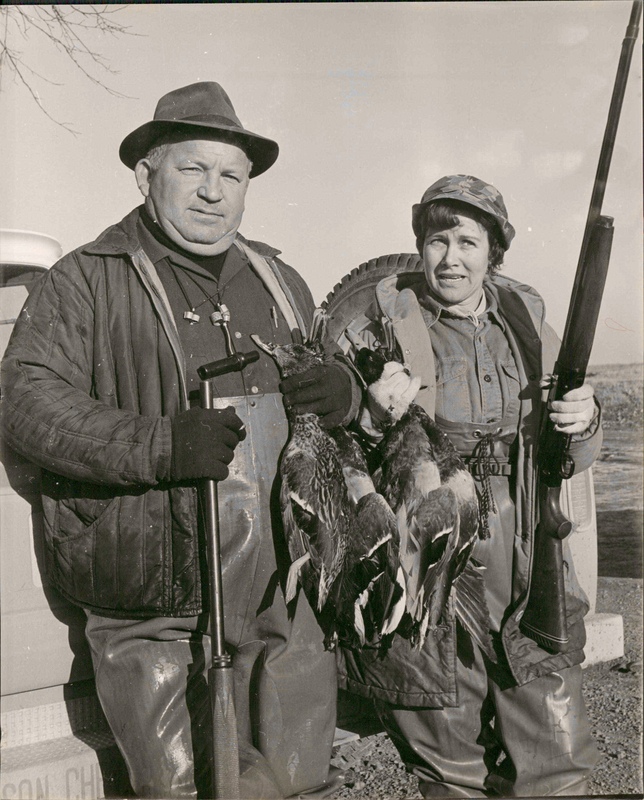 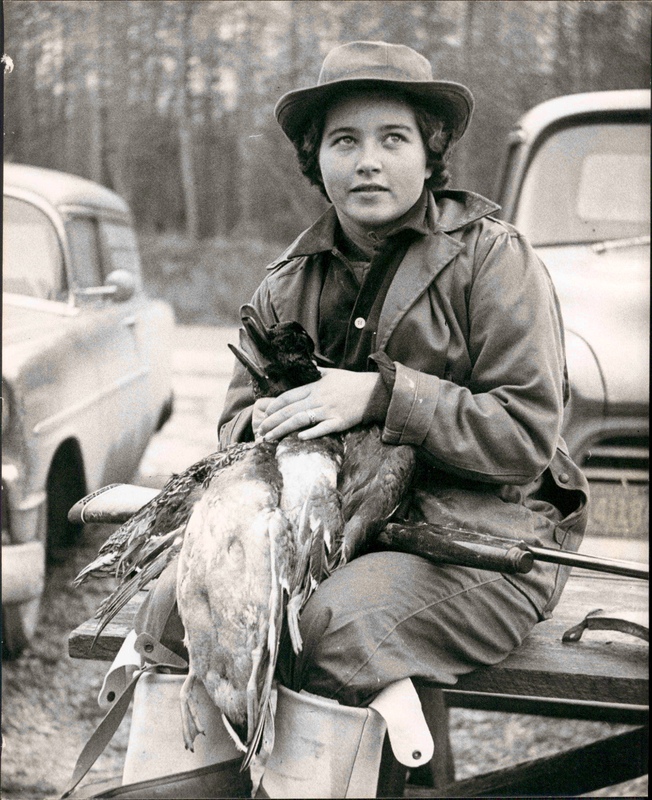 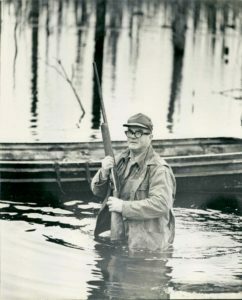 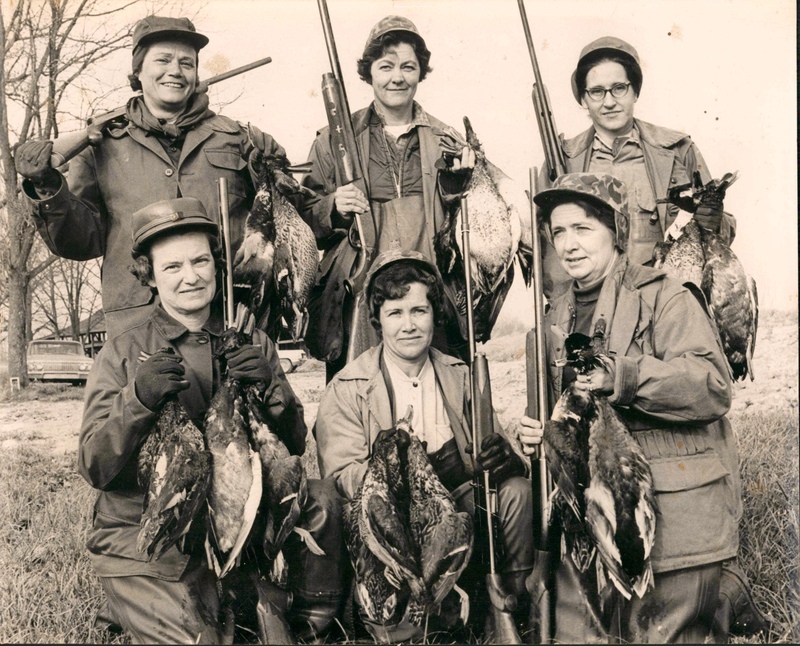 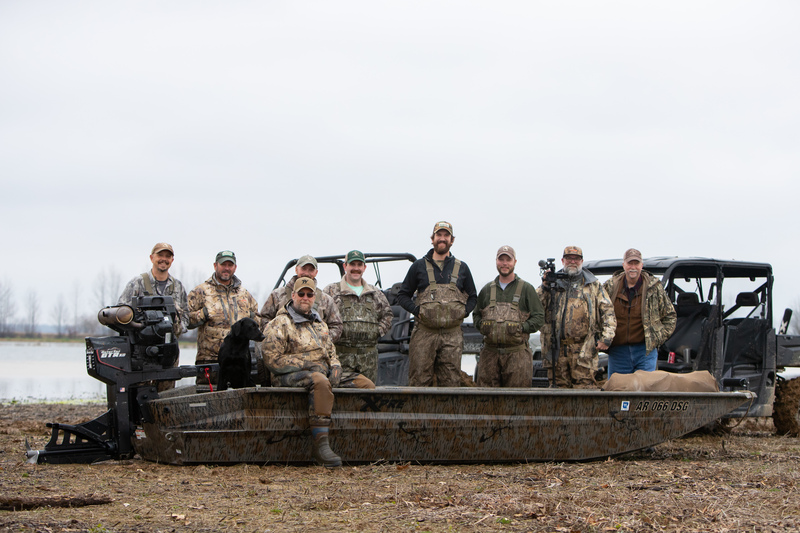 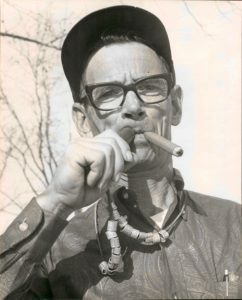 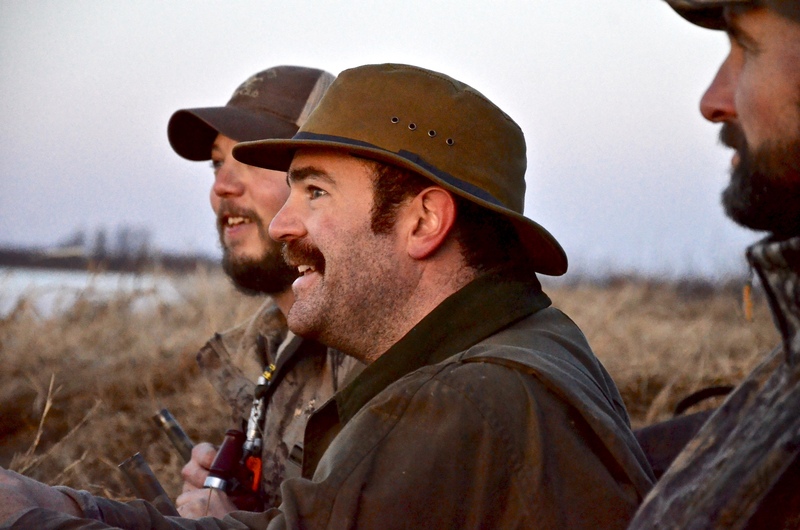 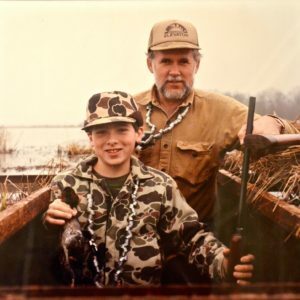 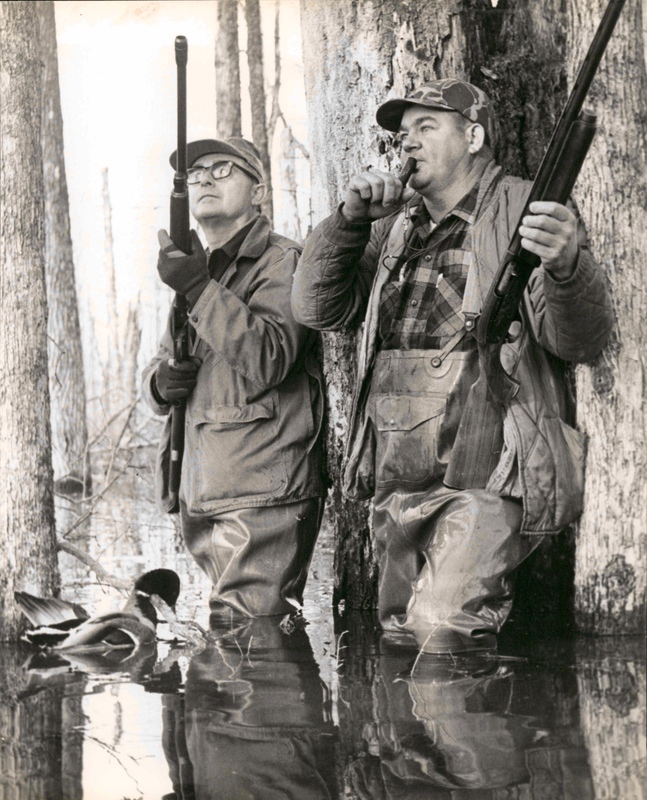 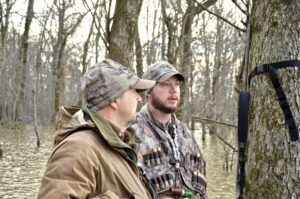 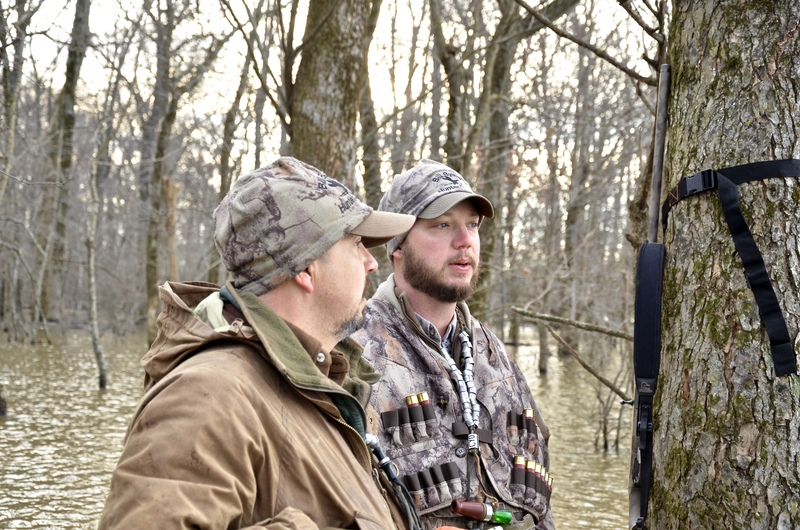 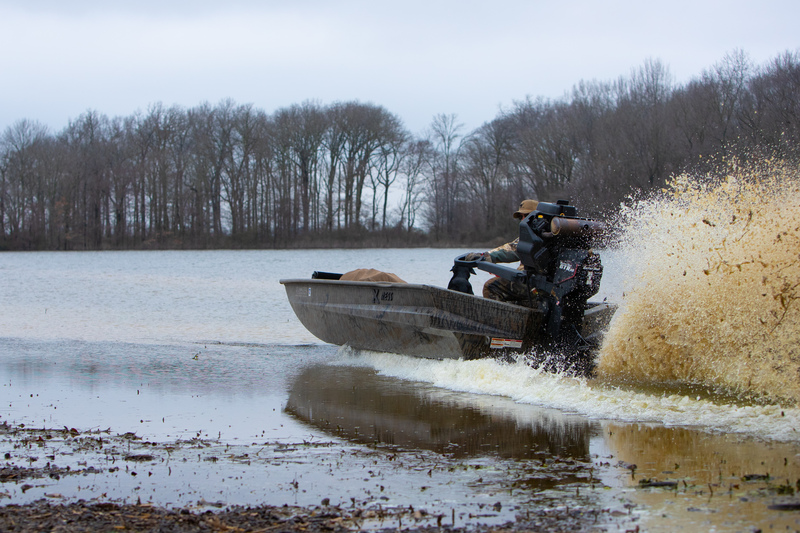 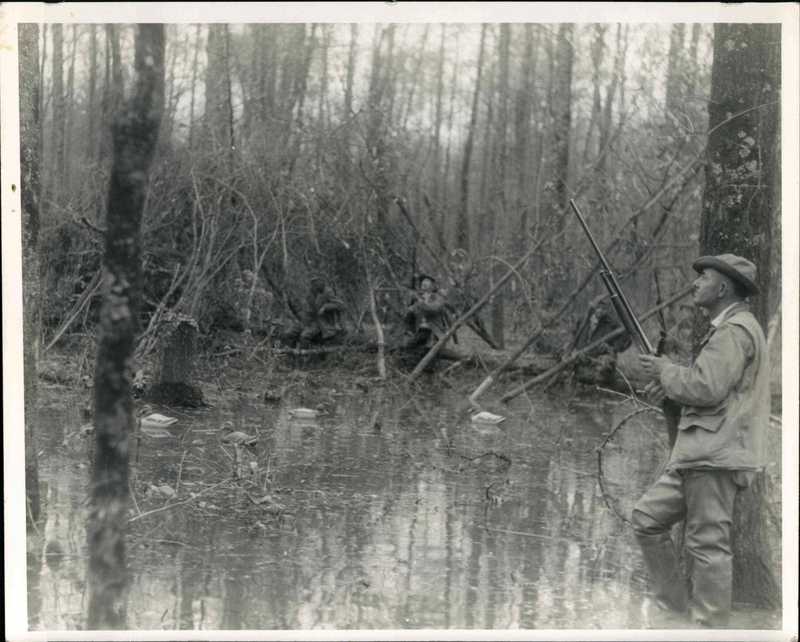 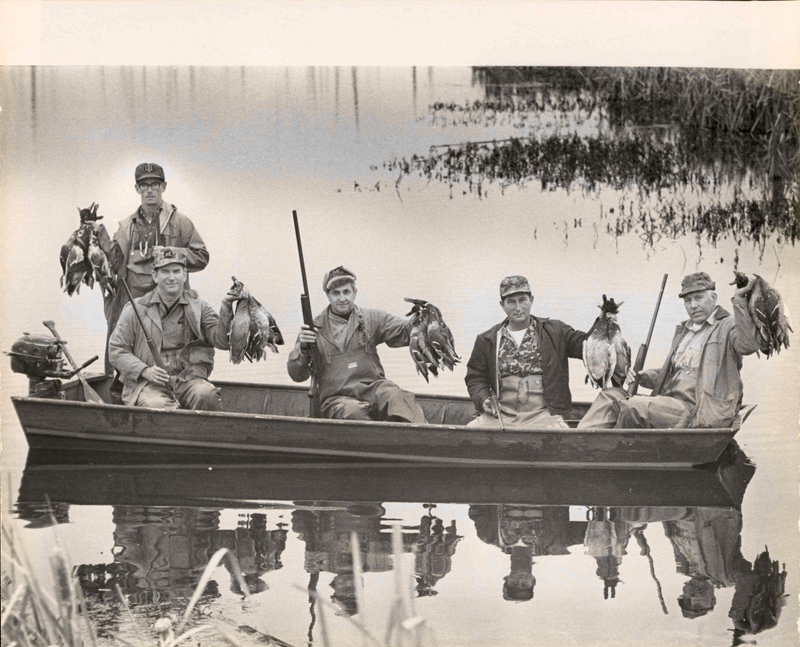 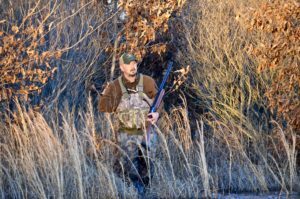 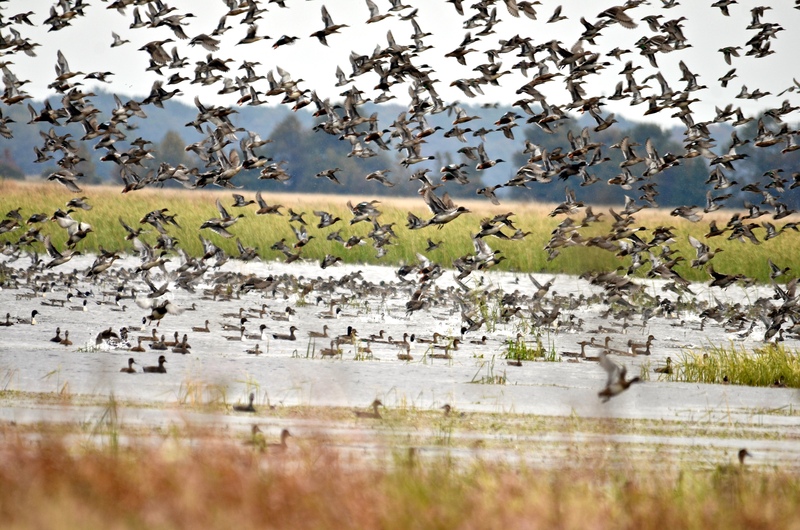 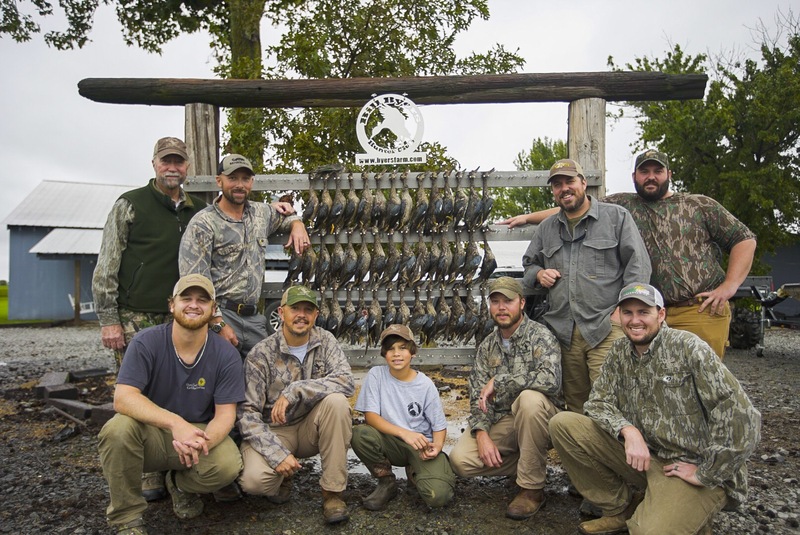 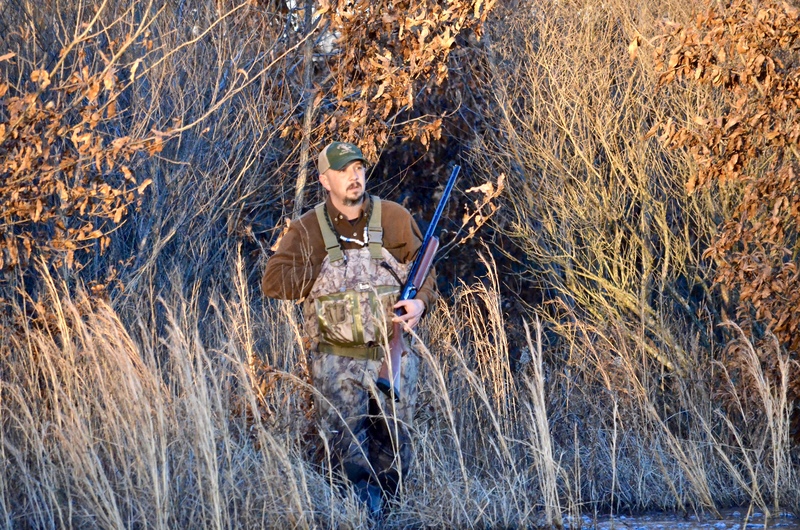 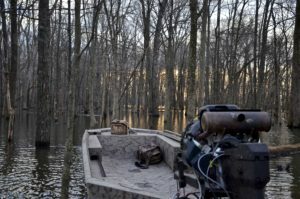 Founded by Bill Byers, the Hunter Club has been hosting Arkansas duck hunters since 1953. 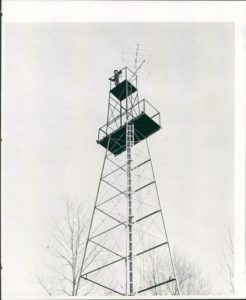 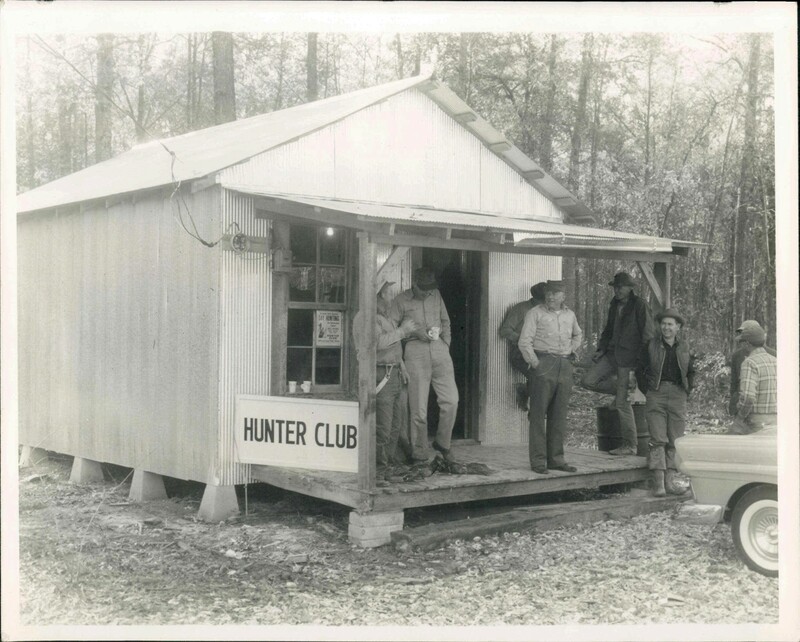 Bill was new to the Hunter community and wanted a place to call his own. He started by purchasing 1,200 acres of green timber. 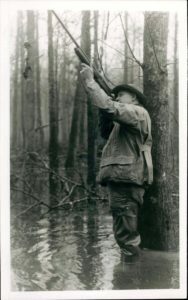 Having moved to Hunter from the Stuttgart area he knew the potential of green tree reservoirs. 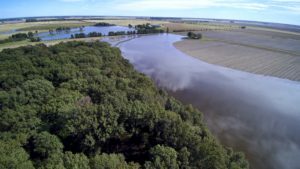 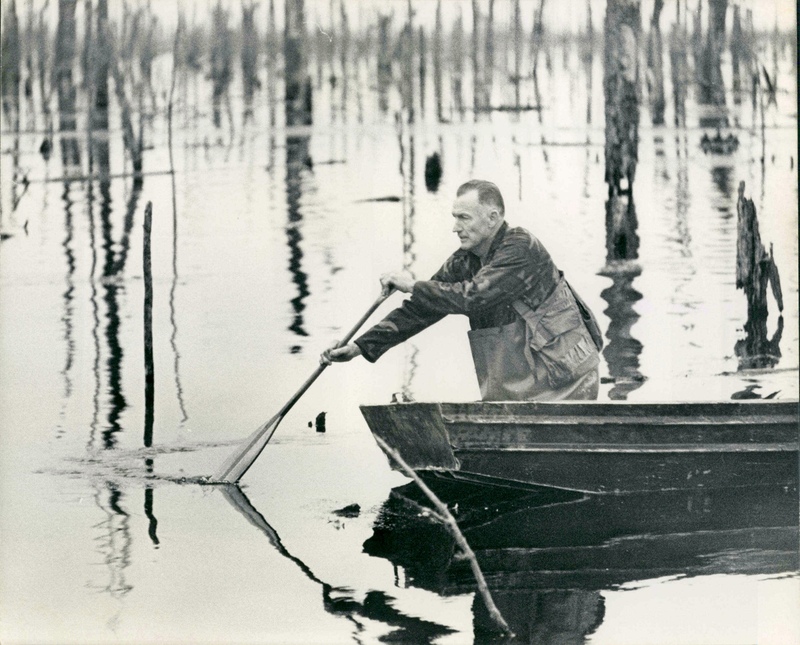 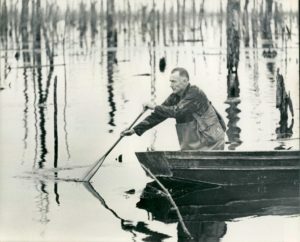 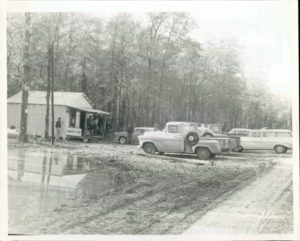 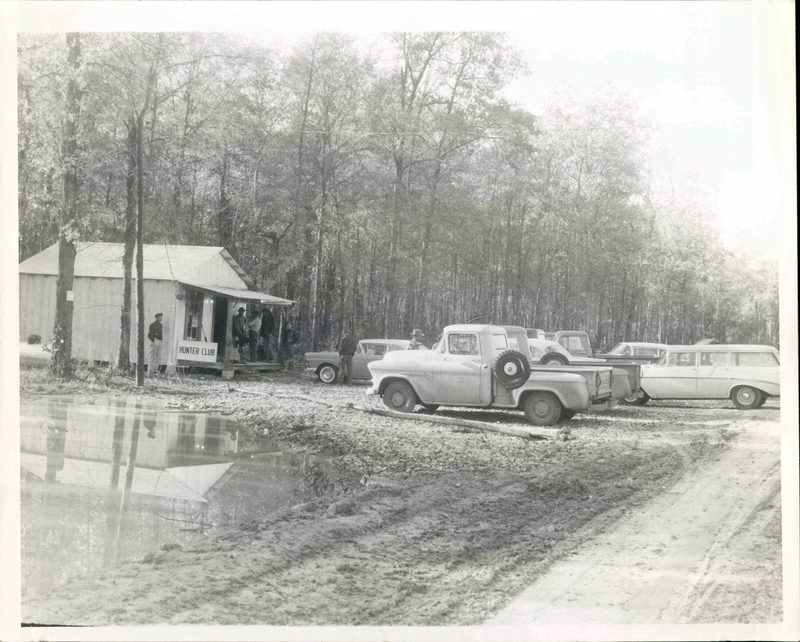 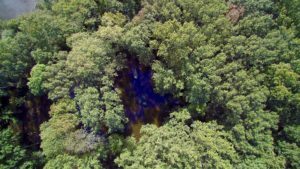 The work began with building a diverse levee system to flood the timber. 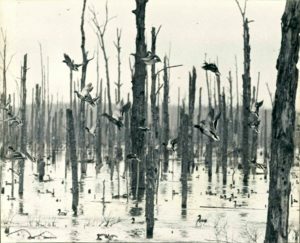 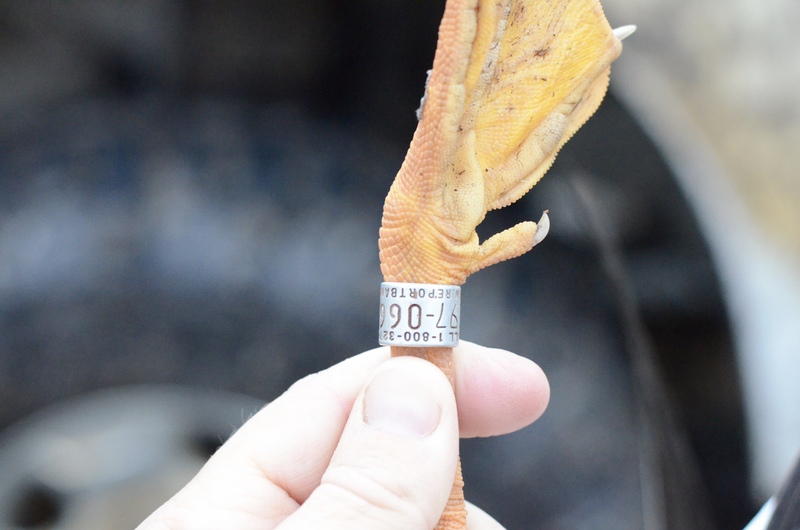 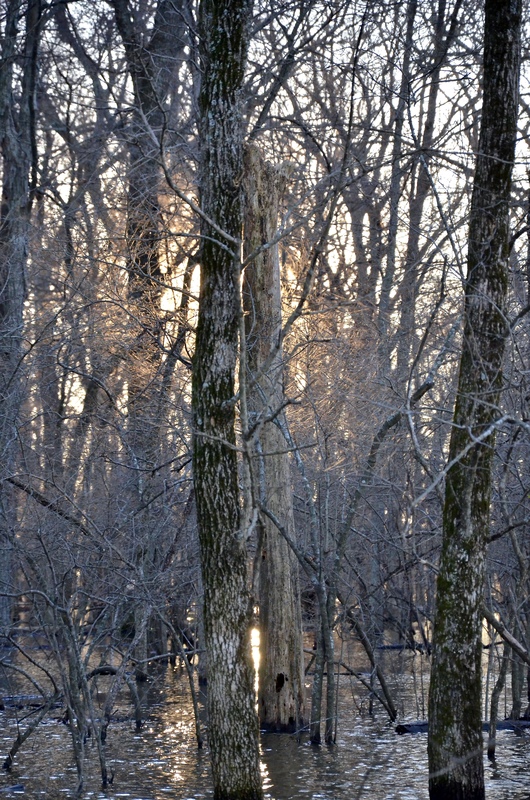 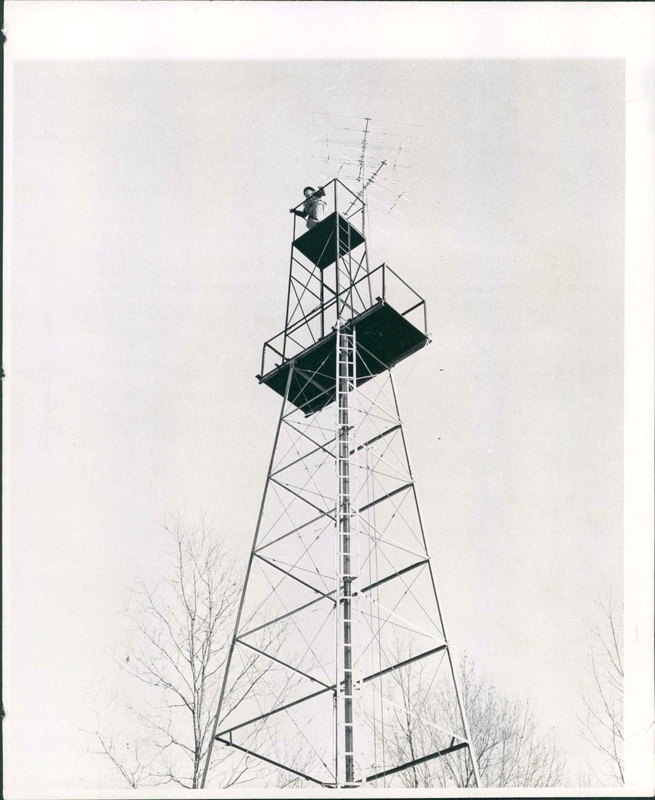 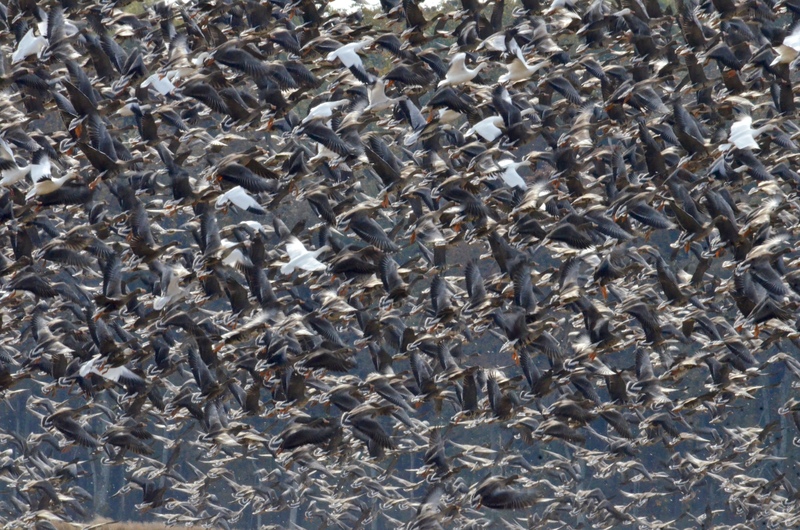 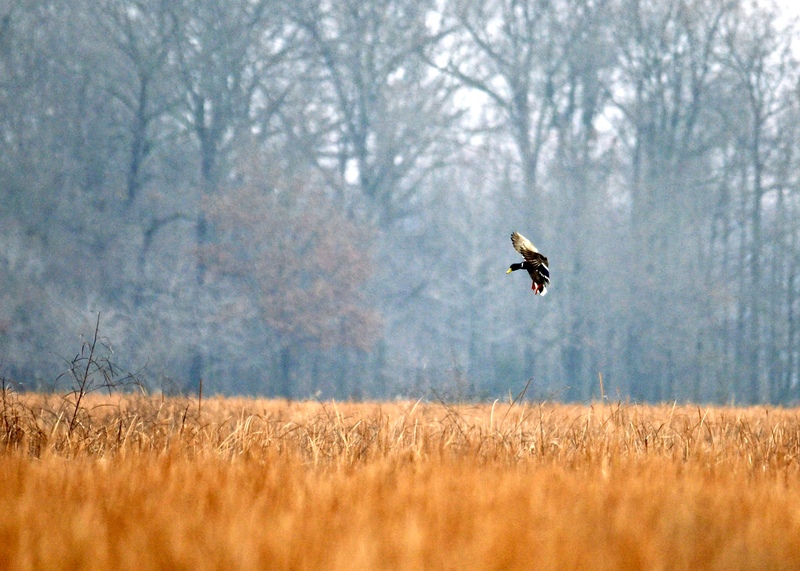 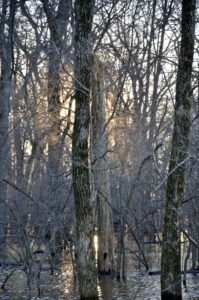 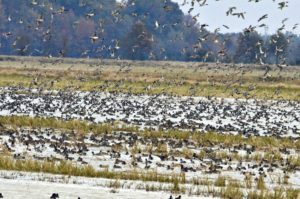 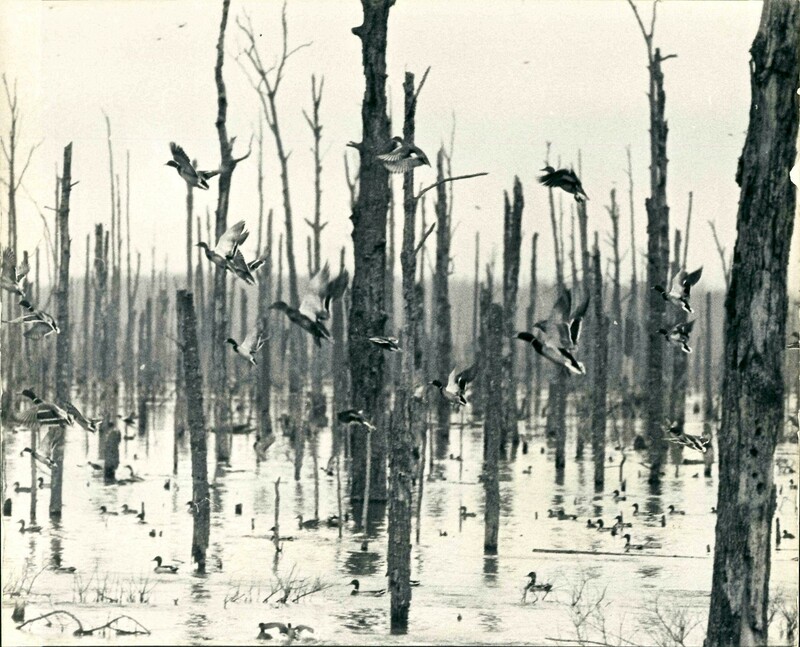 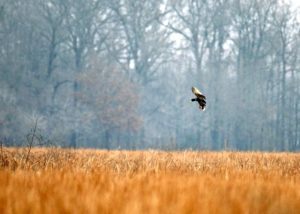 Soon, Bill was inundated with mallards, and expanded with another 1,800 acres of timber. 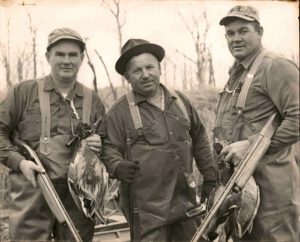 Sharing his paradise with friends brought Bill his greatest joy. He played host to celebrities like Henry Reynolds and Tim McCarver. 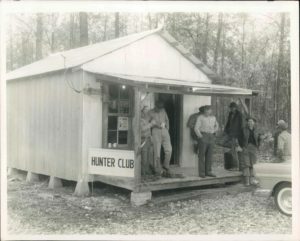 Since then Hunter Club has seen some changes. 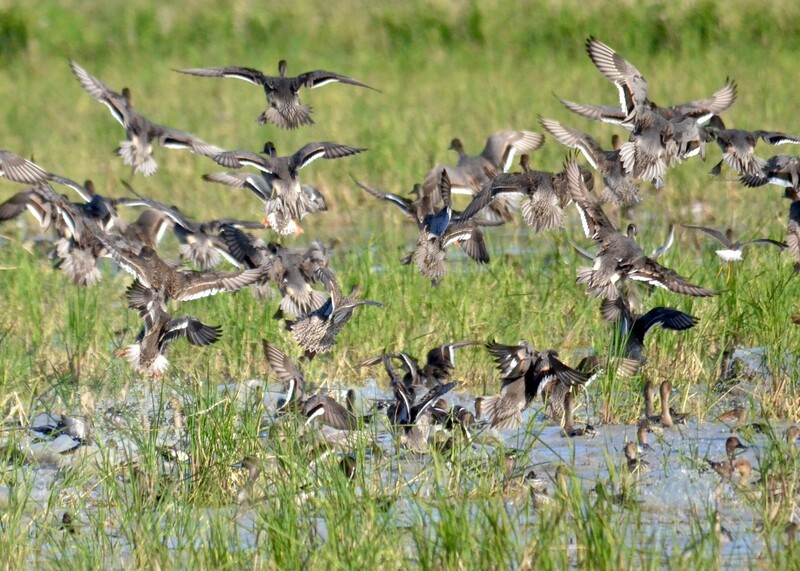 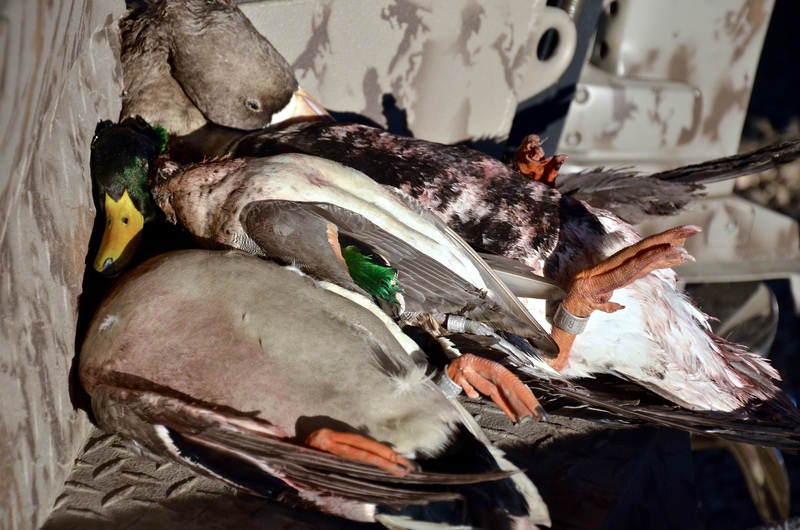 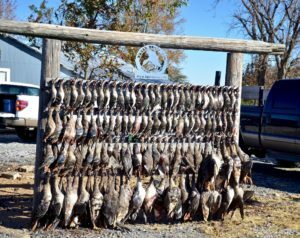 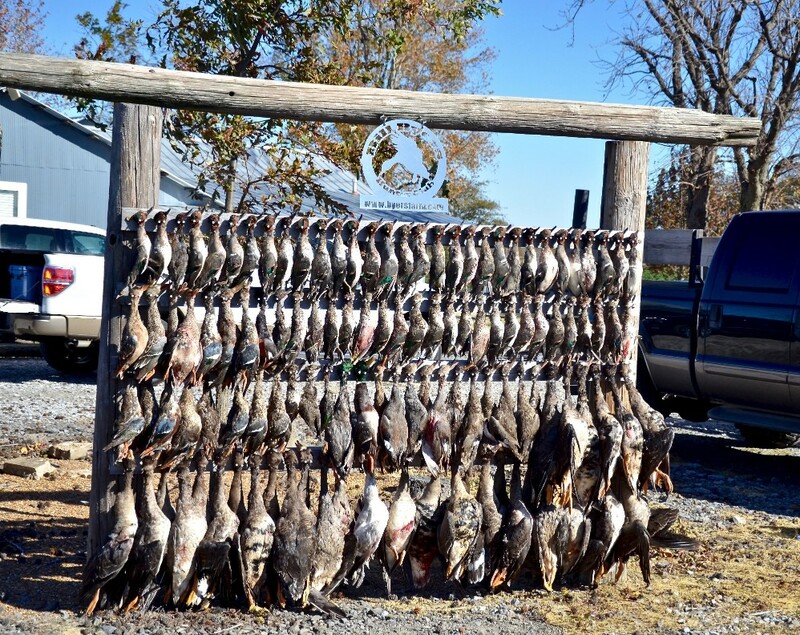 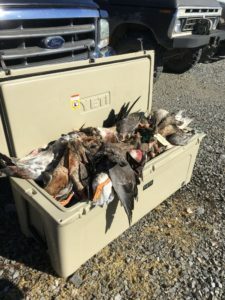 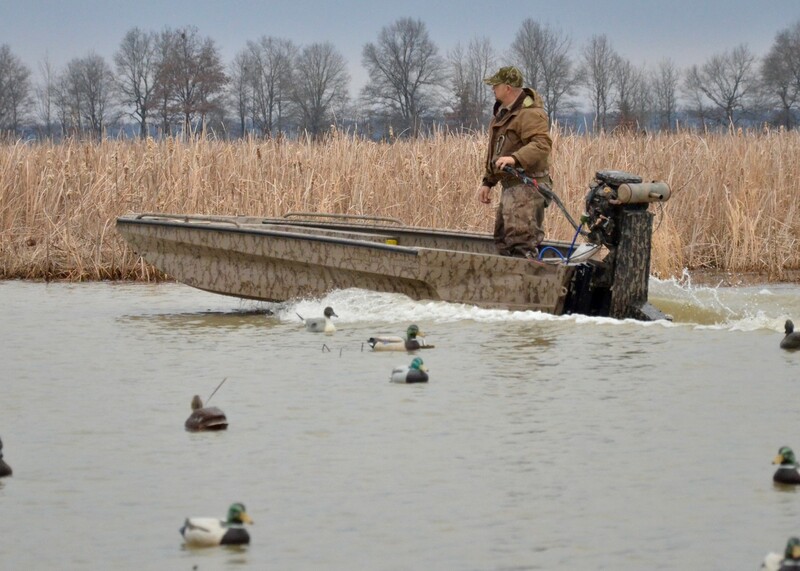 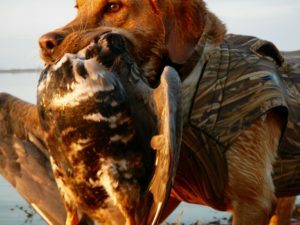 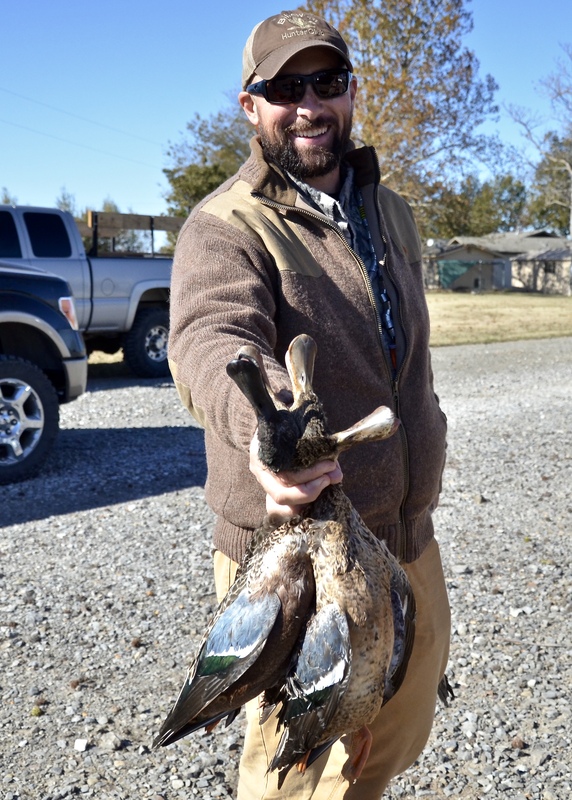 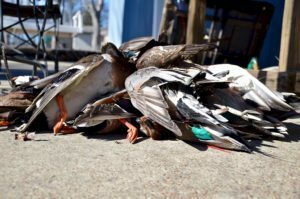 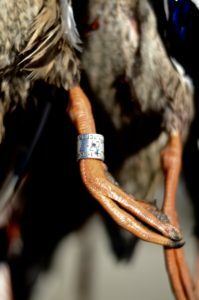 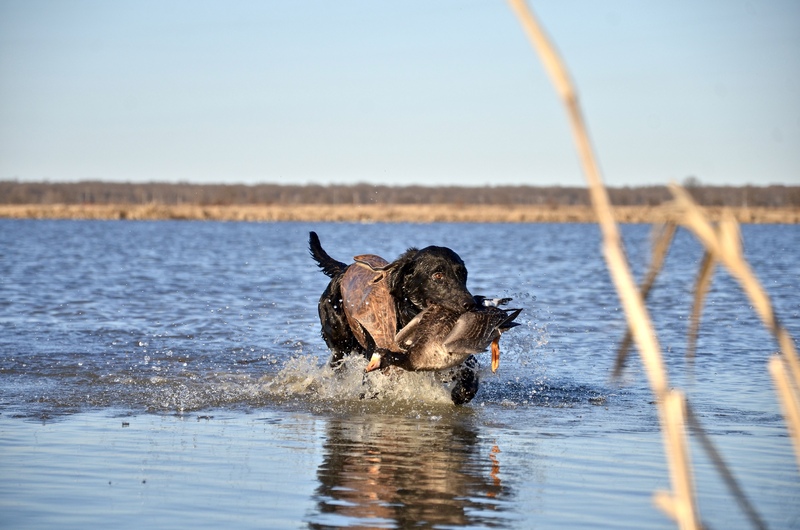 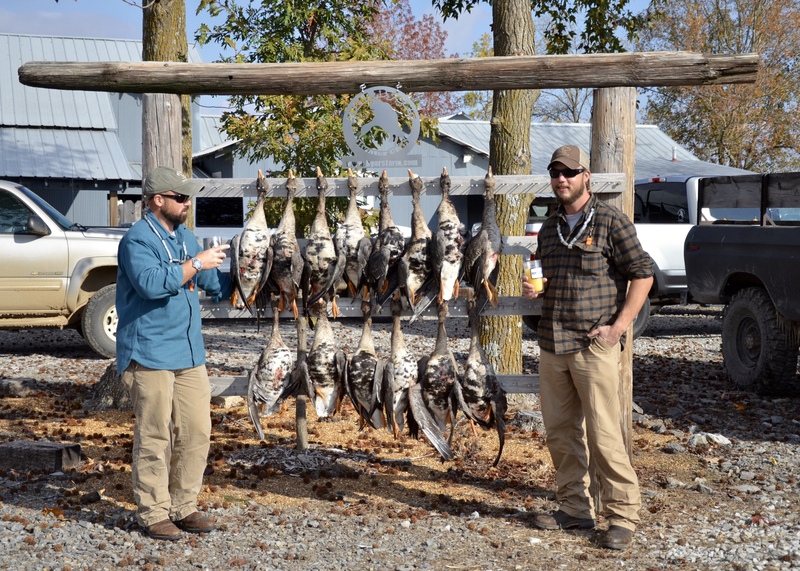 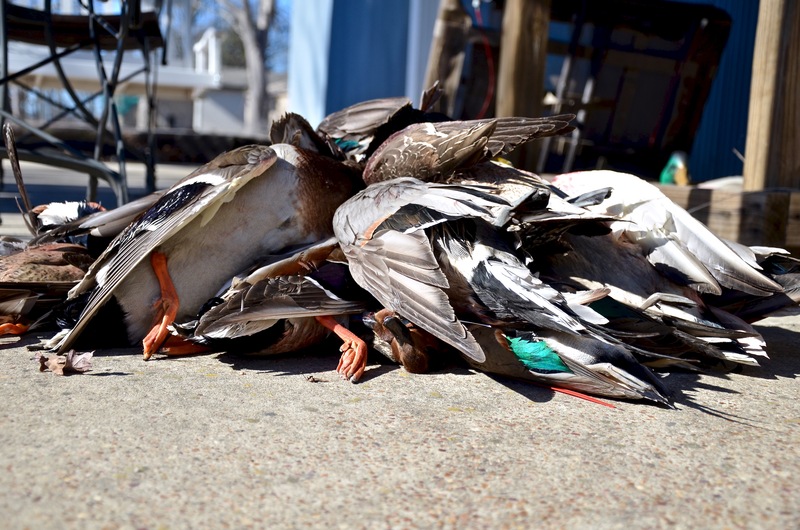 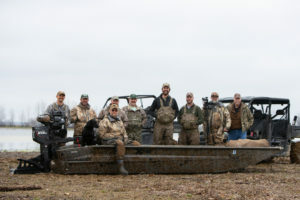 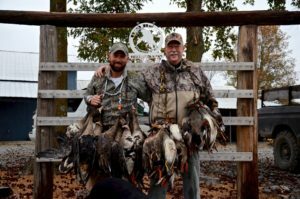 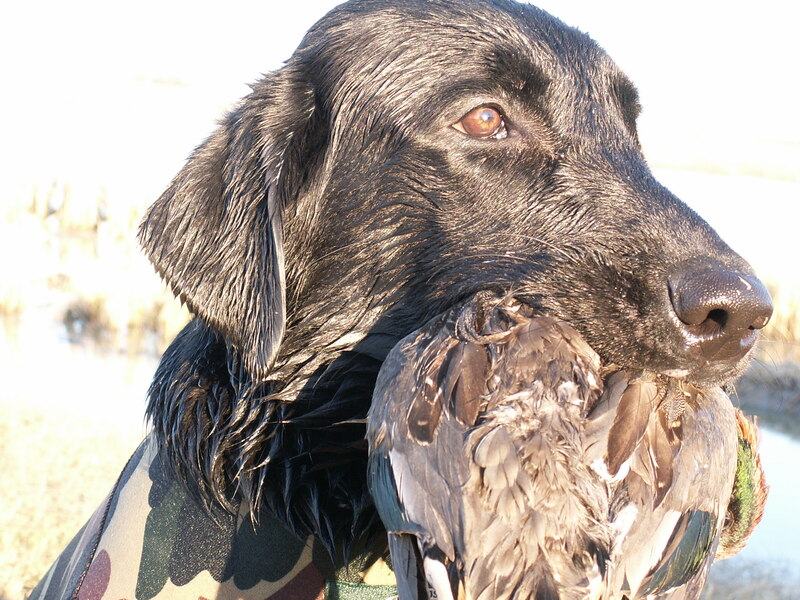 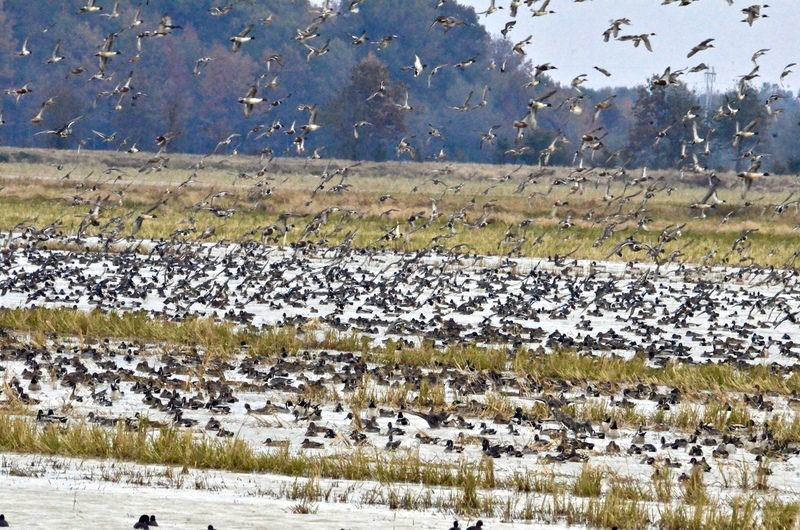 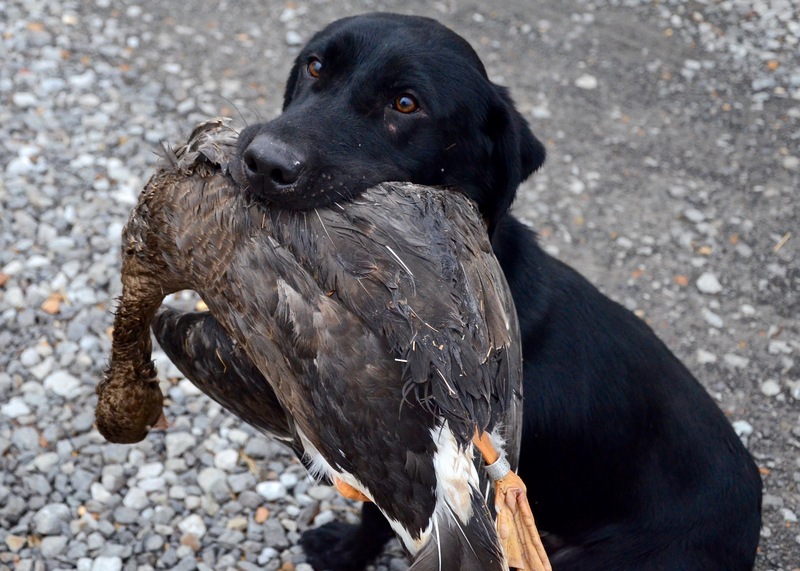 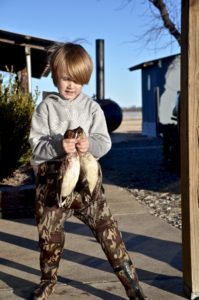 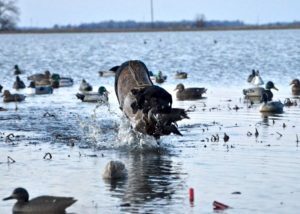 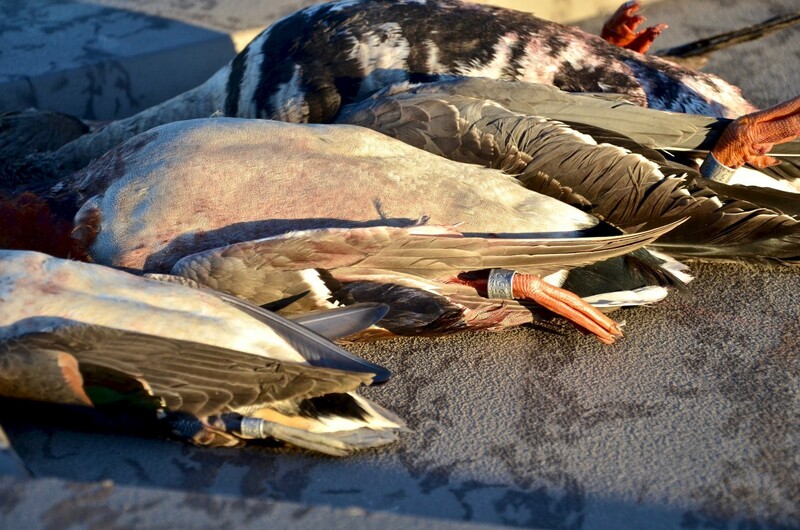 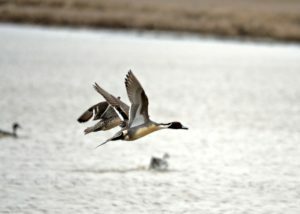 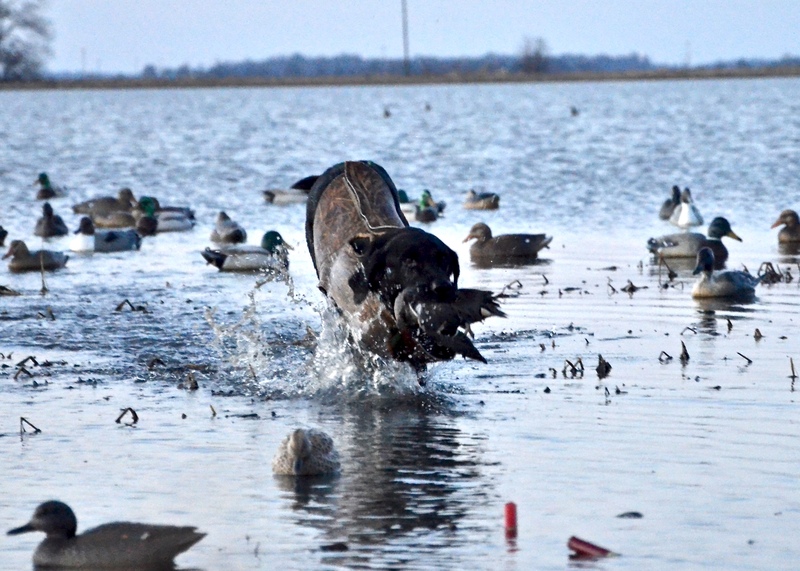 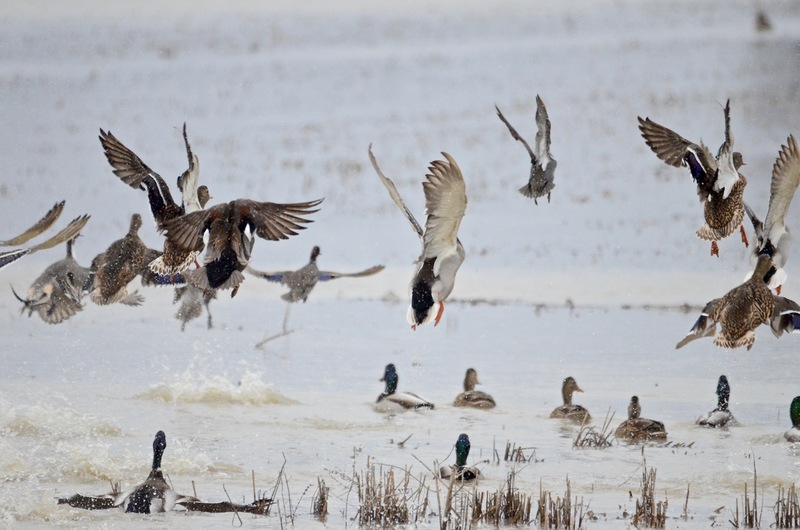 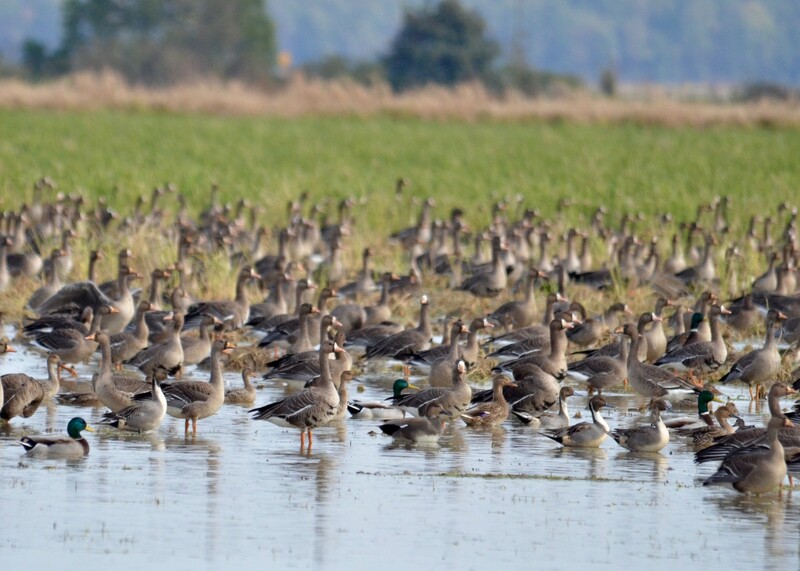 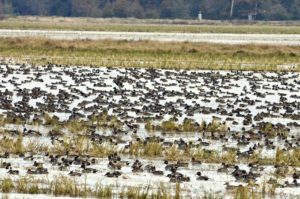 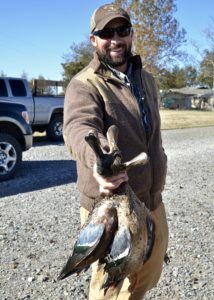 A short season combined with a one duck limit forced Bill into farming. 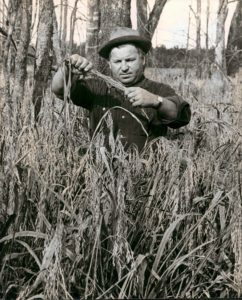 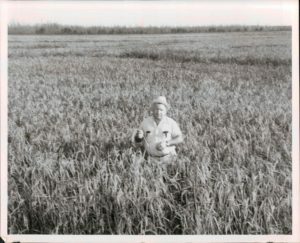 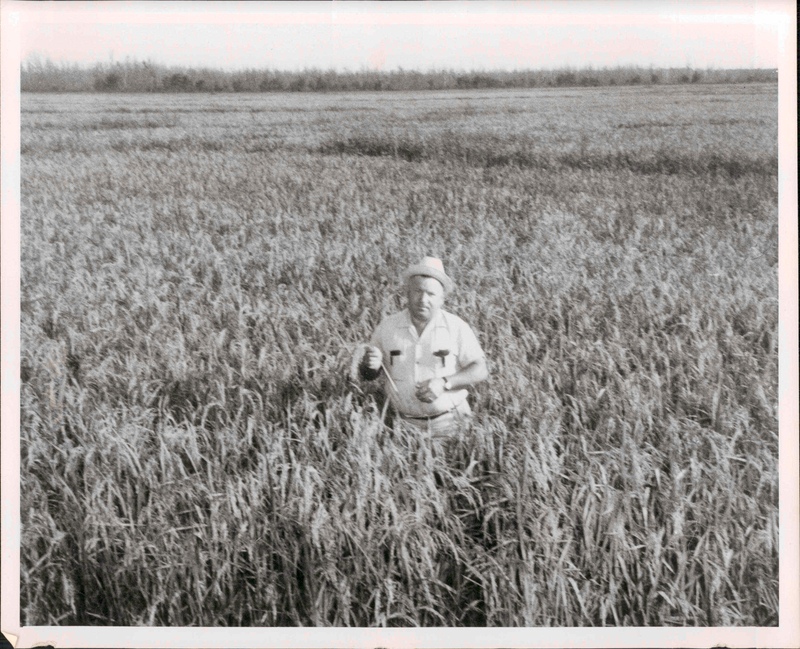 The timber was cleared to make way for rice production. Charlie Short, Bill’s son in law, left a lasting impact on Hunter Club. Sharing his passion for duck hunting with Bill, they worked together to maintain the outstanding wing shooting that Hunter Club was known for. 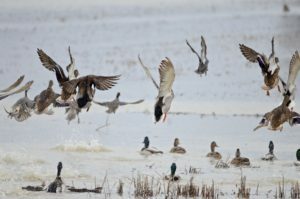 They implemented a rest area free from hunting for the ducks to escape the ever present gun pressure in the area. 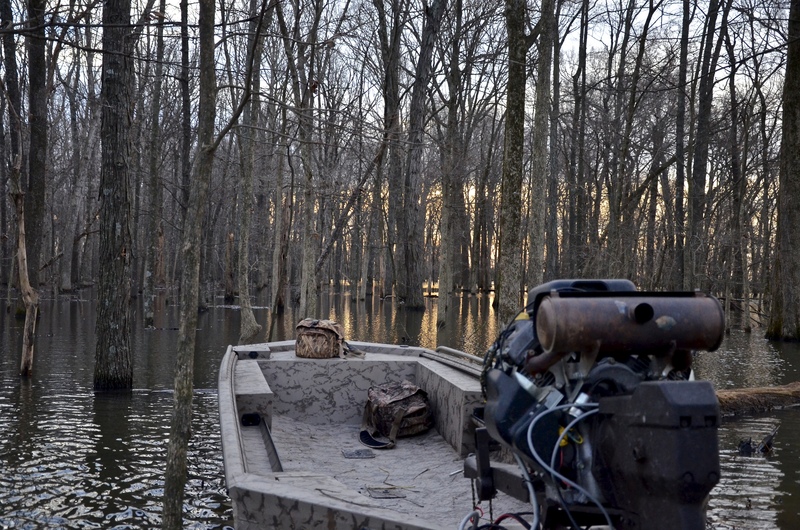 Food plots were planted and pit blinds were developed to hide in the open. 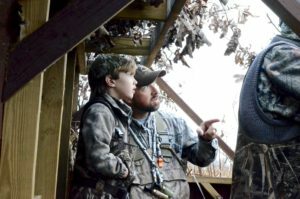 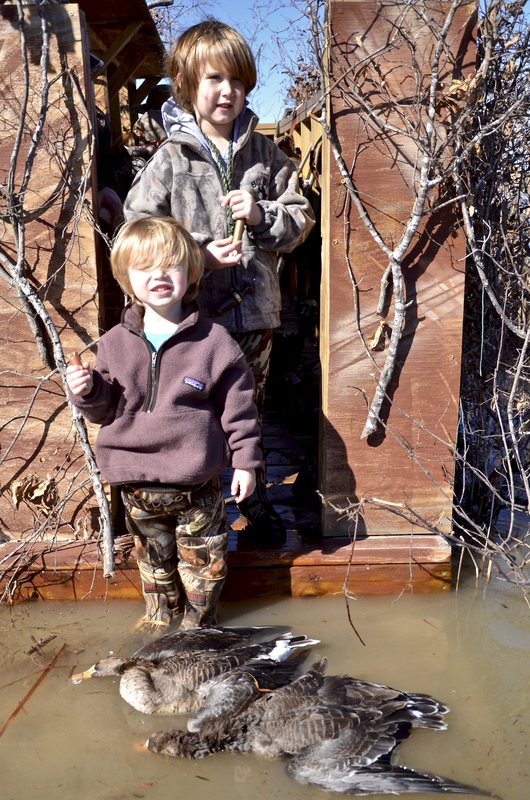 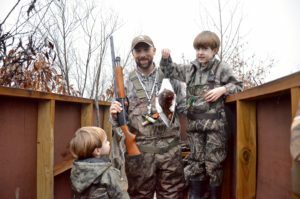 Today Bill’s grandson, Cason Short, operates Hunter Club. A third generation duck guide, he brings over 100 years of combined experience to the table. 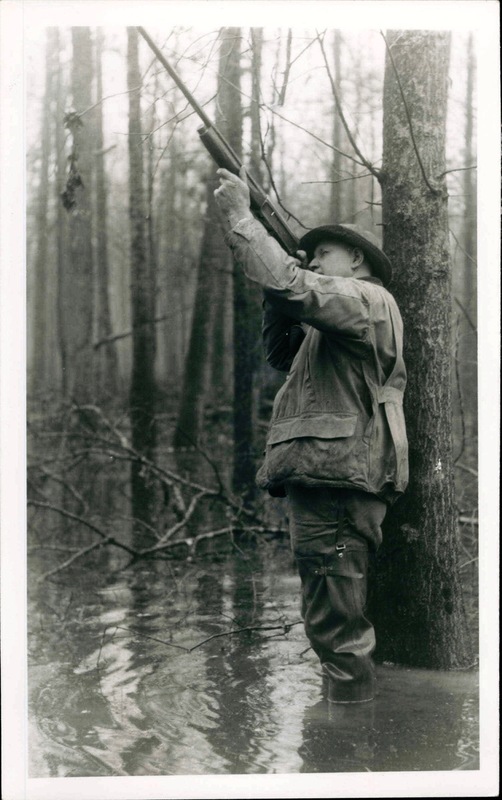 Habitat improvement has taken a different turn. 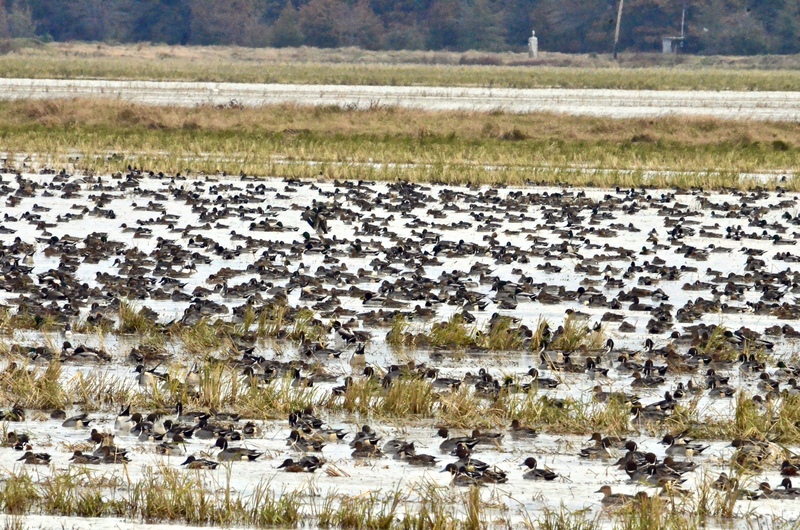 Once again green timber is flooded for ducks. 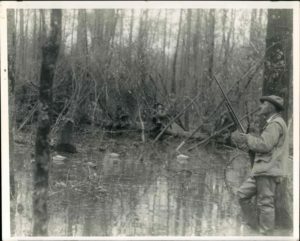 Multiple stages of hardwood plantings, moist soil units, and early successional habitat now help Hunter Club live up to its reputation. 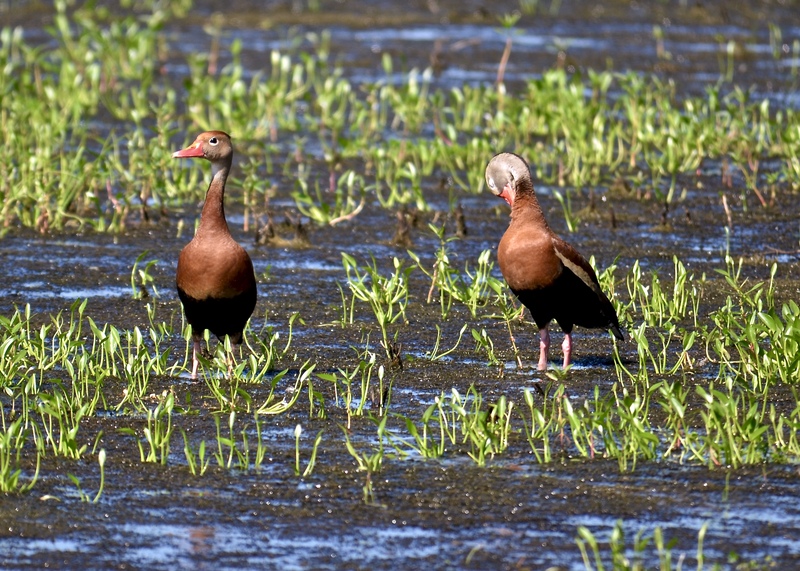 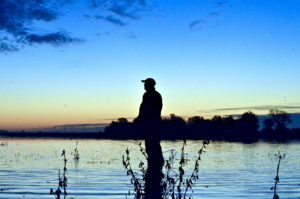 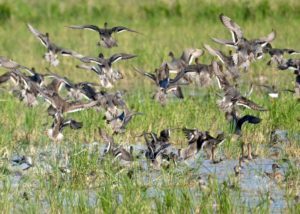 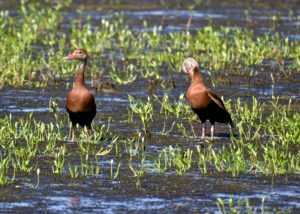 Part of the management plan includes a 10:00 am shutoff on morning duck hunts. 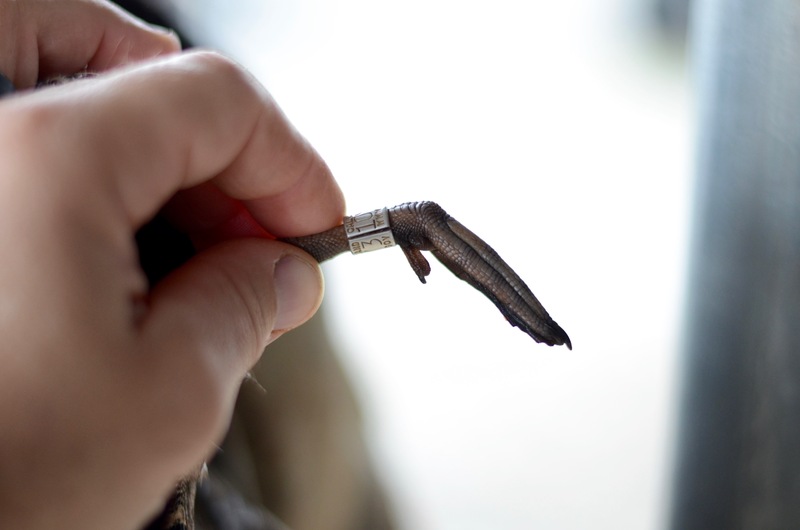 This allows the ducks a chance to return to the fields during the day and rest from others’ gun pressure. 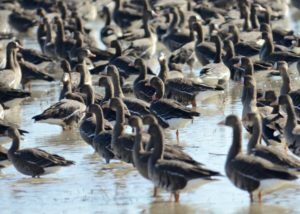 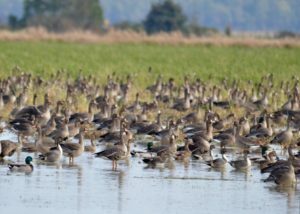 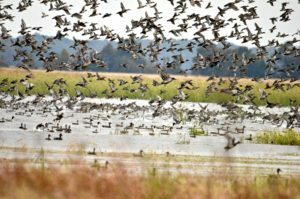 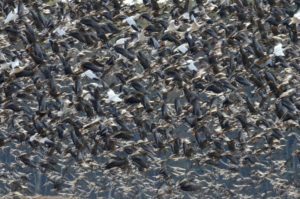 The largest field on the farm, known as the rest pond, still gives sanctuary to the ducks and geese that use it as a landmark during the migration. Unlike most clubs, Hunter Club doesn’t over hunt the land. 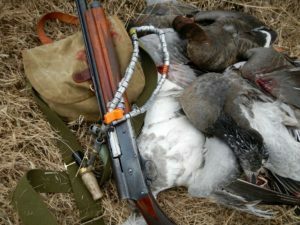 Each group’s success will be the only focus before their arrival and during their stay. This starts by ensuring adequate rest periods between bookings to ensure that gun pressure is limited. 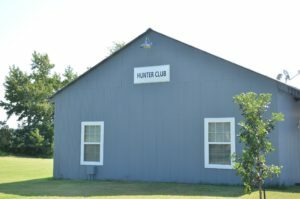 Hunter Club is committed to provide the best wing shooting available. 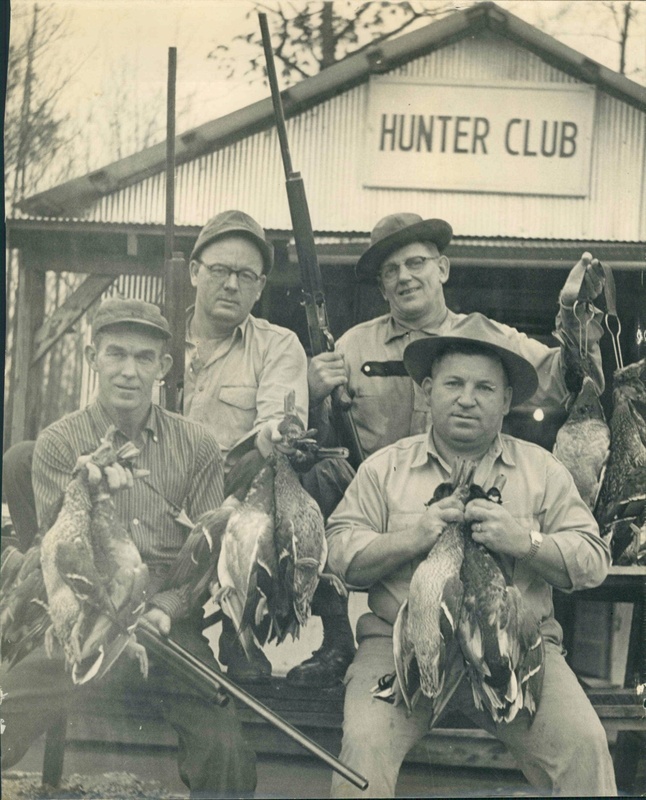 Come see what Bill Byers’ Hunter Club has to offer. The calm before the storm from MattGrich on Vimeo.